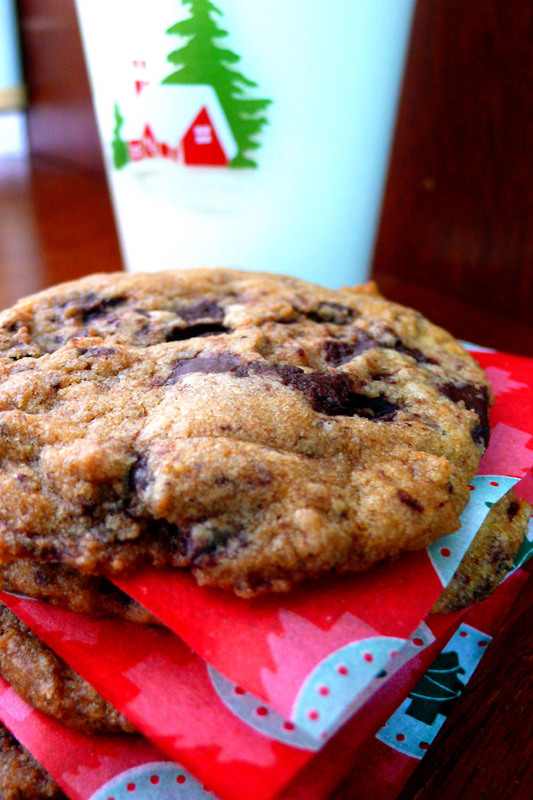 yes virginia, there really is a neiman-marcus chocolate chip cookie. i get a lot of viral e-mail, but weirdly, i've never gotten the $250 cookie recipe one, in which one hapless department store shopper thinks she is getting a great cookie recipe for $2.50, but ends up getting charged significantly more. out of revenge for such outrageous behaviour, the woman then supposedly e-mailed the recipe to the whole of the internets, so no one shall ever suffer her fate again. all is right with the world. except, the whole escapade never happened, and apparently, up until relatively recently, neiman-marcus did not serve chocolate chip cookies. as a response to this urban legend, the corporation actually came up with a chocolate chip cookie recipe, which you can get on their website, completely free. honestly, i don't think i've ever had a choc-chip cookie at any of their cafés or restaurants, but i would think they'd actually use this published one. 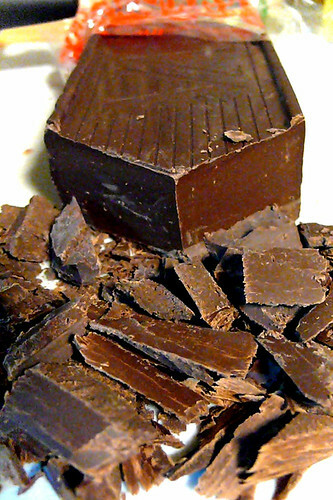 it's a pretty interesting recipe--there's a nice balance of butter, vanilla, chocolate, and hint of saltiness to balance out the sweetness from the tremendous amount of chocolate swirled through. in the end, however, a chocolate chip cookie is just a chocolate chip cookie and is only as good as its chocolate--i used chocolate chunks i chopped off a giant block of semi-sweet chocolate instead of chips. the most interesting thing to me though (besides the story) is the texture--it's a sturdy thing, almost hard, but not; it's firm, with an appealing chewiness throughout the entire cookie. i reckon this it the perfect cookie for mailing cross country or wherever you plan on sending cookies on their merry little way. Ican'tbelieveit'snotbutter, originally uploaded by sugarfreak. 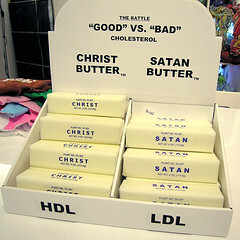 the tsogb holiday gift list starts here: christ butter v satan butter. who will save your soul? or your arteries, anyway. i heart independent booksellers, and especially ones that also sell cool art, cool toys, and cool art toys. atomic books got the goods, yo! and a whole section dedicated to food and cooking to boot. 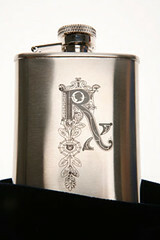 nothing says the holidays like alcohol consumption. 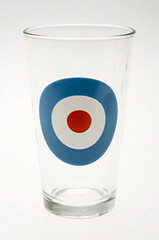 do it in style with mod pint glasses and an rx flask, in case your local pub doesn't do snakebites. if i ran mozza, these would be my charcuterie plates. which is probably why i don't run mozza. 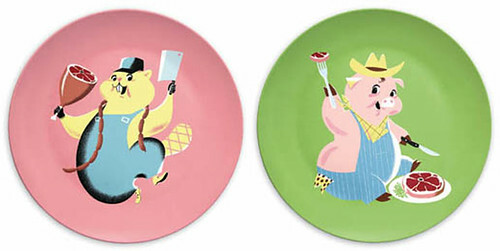 this delightful cannibal kingdom melamine plate set is one of the many great products from pop ink, a division of csa design. i will probably buy all of their products as gifts...and end up keeping them. 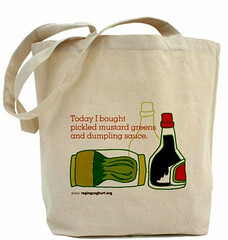 send a gift subscription for the best food magazine in western australia, spice, and pack it in this very groovy shopping tote from the very groovy café press shop of raging yoghurt. if you are feeling a little more altruistic and less materialistic, why not send someone a certificate of donation for a pig, a plough, or a cow to a family in a developing nation? one of my favourite gifts is buying trees from organizations to help foresting and reforesting efforts (rebel's wood is a personal fave); you can find an organization to help through the tree council or the spirit of trees page. the los angeles-based tree people have a campaign to bring fruit trees into underprivileged, urban areas--maybe your local environmental organization has a similar campaign. and of course, there is always the ongoing menu for hope. dozens of amazing gifts, all of them up for grabs for a mere US$10 donation. no one said it had to be for you to keep--although who would blame you if you did? garibaldi biscuits are something i feel like i really should like, but rarely do. i think it's mostly because of the cookie/pastry crust, which is often too dry or just too dull; i don't think it has anything to do with the fact that they are often called "squashed fly biscuits" because of the sandwiched fruit between. 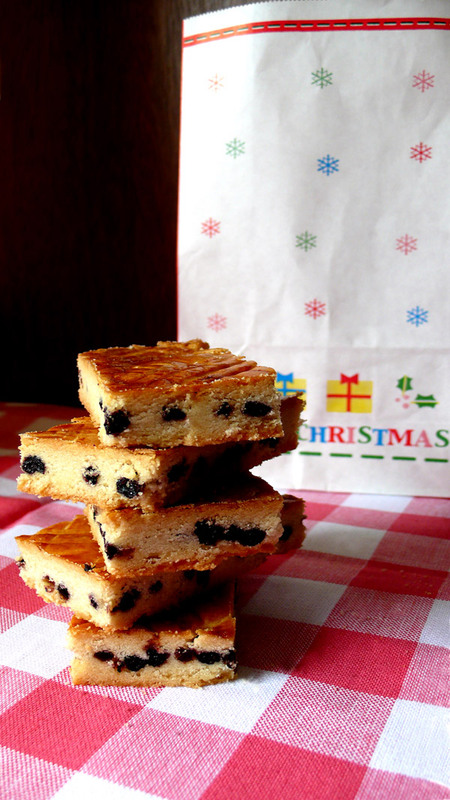 my friend, veronica, occasionally makes a version that is quite chunky and fruit-filled for christmas; as the holiday is just around the corner, i think my sense memory went into overdrive and i began craving them. however, i don't know her recipe, so i poked the internets in the stummy and this alice waters' raisin shortbread recipe fell out. this looked very much like the recipe that miss v uses, which is a somewhat more luxurious version of a typical garibaldi biscuit recipe in that the layers of shortbread-like cookie are thicker, and there's a fancy egg-washed top. so, off to the shops, only to not find currants anywhere. however, there were some very interesting (and expensive) dried wild maine blueberries on sale. oh, what the heck. so...a few little tweaks to the original, and a wholly more adult-oriented garibaldi was born. also, the squashed fly appearance was banished...only to be replaced by fat tick-studded biccy. but fat ticks of sweet blueberry goodness, tinged lightly with a bit of orange liqueur, amongst the sweet, buttery shortcrust. ah, if only they all fell off of dogs like that. combine the dried blueberries with the orange liqueur in a bowl. set aside for at least 10 minutes, then drain the bluebs thoroughly. drink the orange liqueur on the rocks. or add it to a cuppa coffee or hot cocoa. beat together the butter, salt, vanilla, and orange oil/extract/zest until creamy. add the powdered sugar and continue beating until light and fluffy. stir in the flour gently until incorporated--it will be a little stiff or crumbly. gather the dough into 2 balls, one a little larger than the other. crumble the smaller ball of dough into an even layer on the bottom of a 11x17-inch baking sheet with a shallow lip. press down gently to make a thin, even layer over the entire sheet. scatter the blueberries evenly over the dough and gently press to embed them. crumble the other ball of dough into pieces and distribute them over the fruit layer, then gently press and flatten the dough to cover all the fruit as best you can. this could take awhile, but it's quite a therapeutic thing....try to keep the top layer as even as possible. brush the top of the dough with the beaten egg. slowly drag a fork back and forth across the dough to make a decorative pattern, using the back of the tines. bake for 30 to 40 minutes, until light golden brown (i like mine to be a little darker, so i go with 40 minutes). 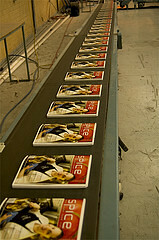 cool and cut into 1x3-inch rectangular bars. i liked these enough to try them later in the season, maybe this time with dried cranberries...ah, bloody ticks! you know, don't you? if you don't, pim and helen will do their best to inform you about and inspire you to contribute to the worldwide food bloggers' campaign to raise money for the united nations world food programme. i will do my best to survive monday. although many of you will covet the lovely prizes on offer at acclaimed restaurants in exotic locations, or opportunities with lauded food personalities, you could take your much appreciated US$10 donation and turn that into a raffle ticket towards one of two humble "yes you have to do all the work yourself, deal with it" kits from the fine folk at green bananas (namely, me). whether you wish to express yourself artistically or autistically, you'll have all the tools available to you, all whilst helping those less fortunate than us. also, there is a distinct advantage in going for one of these items--just think: whilst dozens of people will be vying for that meal at tetsuya's or that tour with david lebovitz, you'll most likely be the only person after one of these prizes. at the time of this posting, that means you have a 100% chance of winning! wheeeee. $10 gets you 2.5 cupcakes at your local hoo-hawed cake boutique, and frankly, you could do better. here is a cupcake/cake decorating kit just for you, including a variety of seasonal cupcake liners, mini espresso cups, mini cutters, a set of three decorating icing tips with disposable plastic cones, food colour gels, various sugar decorations (including edible glitter, coarse sugars and shapes), chocolate sprinkles, nonpareils, and other edible novelties--at least US$60 worth o' goods. that's what i told helen, anyway. in reality, it will probably work out to more than that. 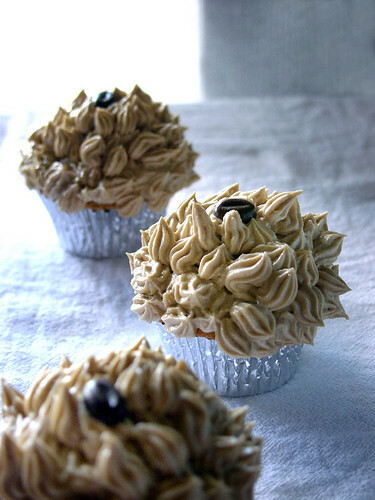 also, if you are the winner, and should see cupcakes on my blog that you'd like to recreate, i will do my best to supply all the appropriate decorations for that particular design. yes, yes, you've spent too much money on bad takeaway meals, and you should be on a diet anyway. bring your lovingly prepared homemade lunch to work in the most stylish way possible with your very own bentou lunch box. 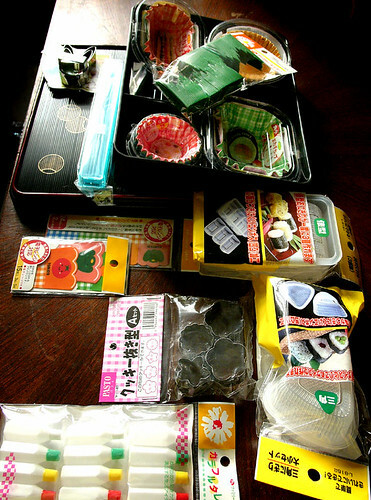 do it kawaii-style with a lusciously lacquer-like bentou container, a set of chopsticks in a handy travel case, various essential bentou supplies like decorative cups and papers, plastic soy sauce containers, mini cutters and rice molds. i will also include a copy of eric gower's "the breakaway japanese kitchen" to get you started on your new, smart and swanky regime. that's another US$60 worth of stuff you never knew you needed until now. 1. Go to the donation page. 2. Make a donation, each $10 will give you one raffle ticket toward a prize of your choice. Please specify which prize or prizes you'd like in the 'Personal Message' section in the donation form when confirming your donation. Do tell us how many tickets per prize, and please use the prize code -for example, a donation of $50 can be 2 tickets for AP01 and 3 for AP02. 3. For US donors, if your company has agreed to match your charity donation, please remember to check the box and fill in the information so we may claim the corporate match. 4. Please also check the box to allow us to see your email address so that we could contact you in case you win. Your email address will not be shared with anyone. ¿listos? okay, then, what are you waiting for? 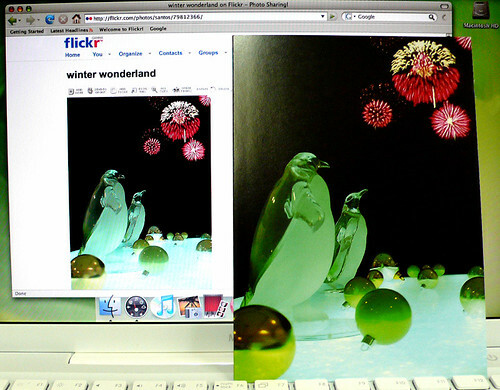 winter wonderland, the hardcopy edition. hallo nenes, remember this photo? the very kind folks at fotofolio in their dubious infinite wisdom have published it as a christmas/holiday card this year. yay. i'm simply thrilled, honey. i'd be even more thrilled if one of you out there actually sees it at a shop; so much so that the first person to snap a photo of my card in a store and send it to me shall receive a little holiday gift in return!